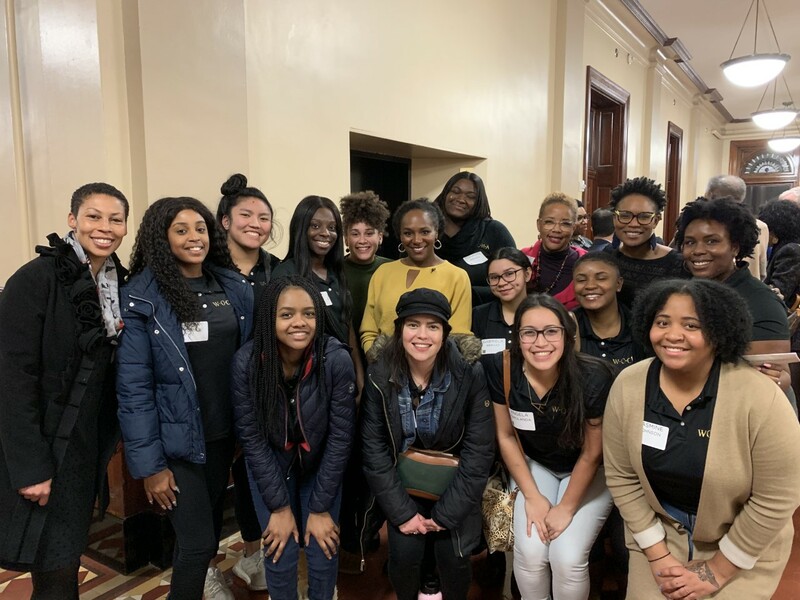 The Women of Color, Honor and Ambition (WOCHA) program is a one-year initiative open to all undergraduate students who identify as women between their second and fifth academic years of study. The program, which is specifically designed through the lens of students of color, aims to positively impact academic efforts and develop successful leaders of tomorrow. Selected students will participate in a series of monthly workshops offered by faculty, staff and community leaders. These workshops will provide personal, academic, cultural, social, professional and leadership support. The application period for WOCHA is open to all undergraduate students who identify as women between their second and fifth academic years of study. Learn more about the mission, goals and eligibility requirements below. Applications are due by 5 p.m. Friday, April 5. Interested in learning more? Sign up to attend an info session on March 18 or March 19. To ask a question or submit your application, please contact Aliyha Hill at ahrw5@mail.missouri.edu. 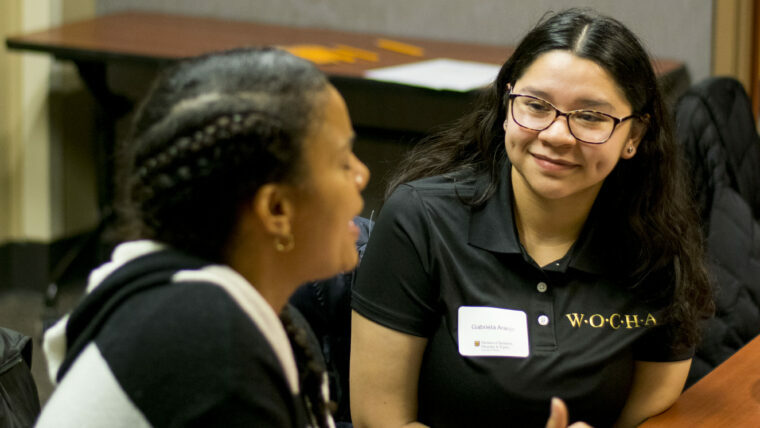 The WOCHA program seeks to provide personal, academic, cultural, social, professional and leadership development to undergraduate women enrolled at Mizzou. WOCHA participants will achieve academic excellence, graduate from college, and be empowered to become successful leaders in their respective careers and communities. These women will be actively engaged in the Mizzou community, and will forever be committed to achieving in every phase of human endeavor. Increase the retention rates of women of color. Support and challenge women of color to achieve academic excellence. Develop an increased awareness surrounding academic support mechanisms, business acumen, professional attire, etiquette and various social activities. If accepted into the program, applicants must pledge to attend no less than 75 percent of WOCHA workshops, activities and events. If accepted into the program, applicants must pledge to strive for a 3.0 GPA or better during their year of participation. Mentorship and support are key drivers of success, yet women can have a harder time finding mentors, especially ones with influence. In the WOCHA program, each participant is partnered with an external and internal mentor. The external mentor is one that is within or close to the field in which the participant has an area of interest. The internal mentor provides an opportunity for each woman to have an additional layer of support to in order to access university resources. The WOCHA Advisory Committee will recruit internal and external partners to present workshops that reflect the foundational pillars. Answers for many questions regarding the WOCHA program can be accessed in the frequently asked questions section below. If you have questions or concerns regarding your application, please contact Audrey McFadden at mcfaddenau@missouri.edu. Be an undergraduate woman between the second and fifth academic years of study. Have a GPA of 2.5 (minimum) or 2.75 (preferred). Make a personal commitment to both attendance and academic excellence. Submit a personal statement of 500 words or less regarding the importance of WOCHA’s foundational pillars to personal, professional and academic goals. Submit a letter of recommendation written on the applicant’s behalf. This letter should address the applicant’s academic performance, leadership ability, service, and interest in personal/professional development. Complete the online application by 5 p.m. Friday, April 5. What can students gain from WOCHA? What happens after a student applies or is nominated? Who will interview candidates during the review process? What will participation in the program cost students? Where will monthly workshops be held? When will the schedule of workshops be available? How does WOCHA benefit MU? WOCHA is dedicated to providing the tools necessary for the development of successful leaders. This initiative will create an environment dedicated to growth and leadership by providing mentorship and life changing experiences, with the goal of equipping participants with the necessary tools for personal, professional and academic success. Through the monthly workshops, students will develop a set of core competencies. These competencies include ambition (e.g., perseverance and career ambition), achievement (e.g., priority setting and time management), integrity (e.g., ethics and values), service and health and wellness (e.g., work/life balance and conflict management). Beyond skill development, students will gain a cohort of peers and receive mentorship from various community leaders. WOCHA members who complete the program and meet the programmatic goals will receive a tailored suit and shirt to commemorate their achievement. What happens after a student applies? After the application period closes, students will be contacted to set up in-person interviews in October. After interviews are conducted, final selections will be made and students will be notified of their selection or rejection. Interviews and selections will be conducted by Dr. NaTashua Davis, executive director of Access and Leadership Development, Chelsea Drake, director of the Multicultural Center, Kimberly McDonald, senior human resources consultant — School of Medicine, Dr. Ashley Woodson, assistant professor — College of Education, and CJ Tatum, senior executive assistant to the vice chancellor of the Division of Inclusion, Diversity & Equity. In an effort to ensure equitable and inclusive membership throughout the university, WOCHA membership will come at no cost to the student. Four weekend seminars will be held in the Multicultural Center. The schedule for these seminars will be released at a later date. During the months that there are no weekend seminars, participants will be expected to attend monthly Telepresence or Zoom conference meetings. Dates and times for the 2019-20 academic year WOCHA workshops are currently being determined. When finalized, the schedule will be posted online. These dates will be made available to students before final decisions on program participation are made. How does WOCHA benefit the MU community? WOCHA will work to increase access and success for historically underrepresented/underserved populations. This outcome aligns with the Inclusive Excellence Framework, an initiative designed to help the university incorporate diversity efforts into core functions. In doing so, students are better served by the educational benefits of diversity. In the short term, WOCHA benefits the campus and the broader community as participants engage in campus and community service. In the long term, participants will use the skills and values they developed throughout the program to positively impact their respective careers and communities.